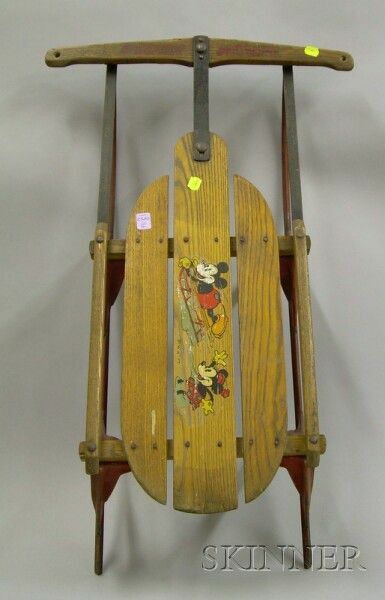 Mickey Mouse Sled by S. L. Allen Inc., Walt Disney Enterprises, No. 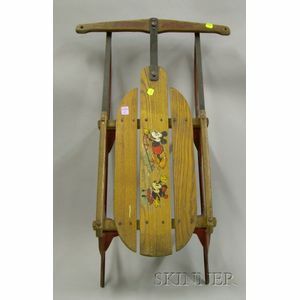 80, with transfer design of "rat-nosed" Mickey and Minnie sledding, lg. 29 in.